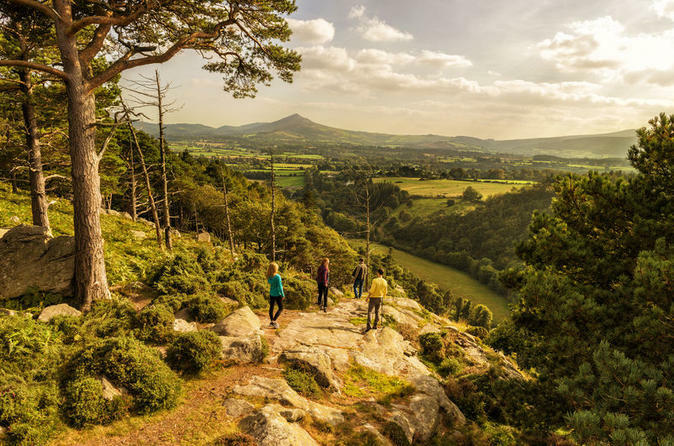 The Wild Wicklow Tour from Dublin is the perfect introduction to Wicklow's untamed landscapes. 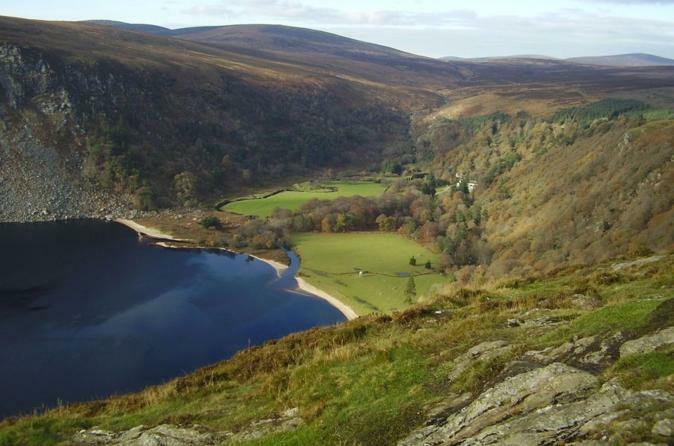 On this Wicklow day tour you'll explore ancient monastic ruins at Glendalough, enjoy the 'craic' in a traditional Irish pub, and see where film-makers brought a little bit of Scotland to Ireland when filming scenes for 'Braveheart' at Sally's Gap. 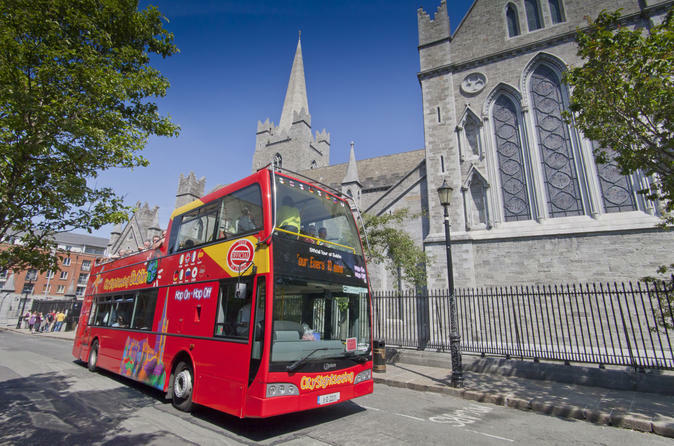 Discover the best of the Emerald Isle’s ancient capital on this City Sightseeing hop-on hop-off bus tour of Dublin. Opt for a 1- or 2-day ticket and choose from two different routes through the city. Explore Dublin's historic buildings and vibrant nightlife at your leisure. Hop on and off the open-top buses at any of the 28 stops throughout the capital. Admire top city highlights such as the Old Jameson Distillery, Dublin Castle, the National Art Gallery, St Patrick’s Cathedral and of course the world-famous Guinness Storehouse. Visit three top Ireland attractions in one day on the Blarney Castle and Cork Day Trip from Dublin. 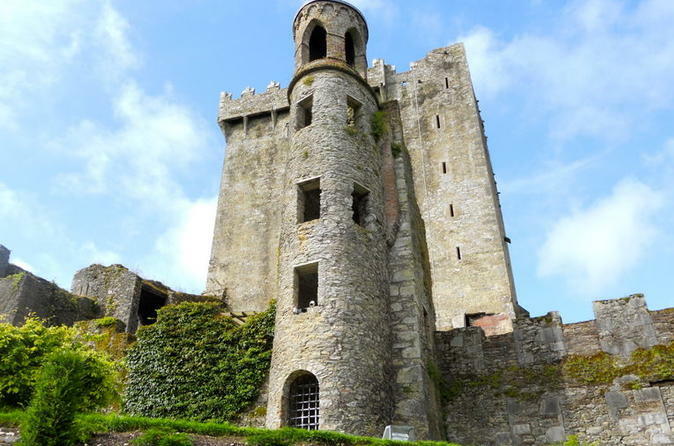 From the comfort of your luxury coach, you'll travel south to Blarney Castle, Cork City and the Rock of Cashel cathedral, passing through beautiful, green South Irish countryside on your way. 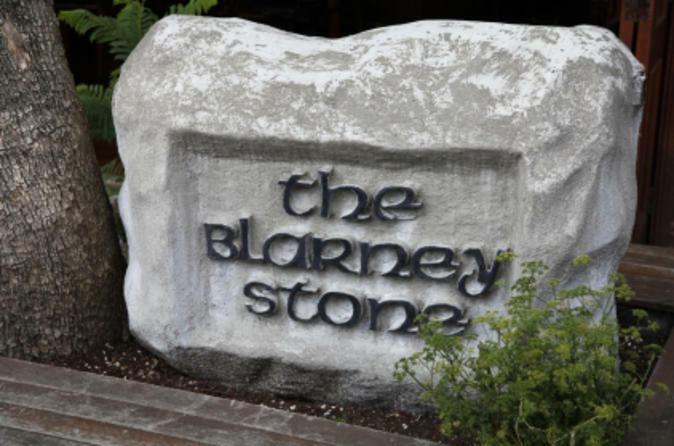 Be sure to kiss the famous Blarney Stone, and you'll be blessed with the "gift of the gab" for a lifetime of smooth talking! 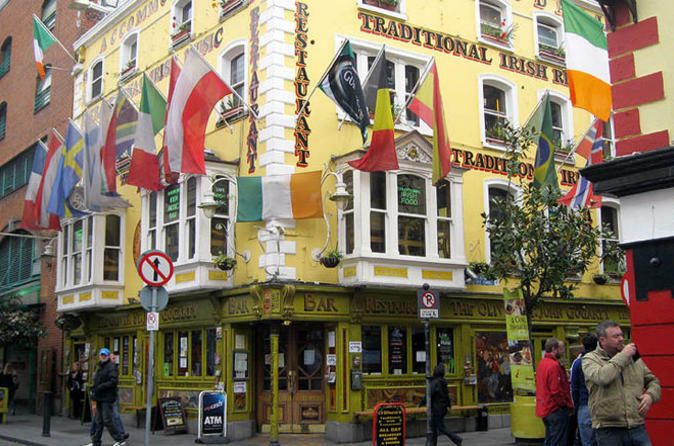 Discover Dublin's traditional pubs and wonderful Irish music on this 2.5-hour pub crawl through historic Temple Bar. 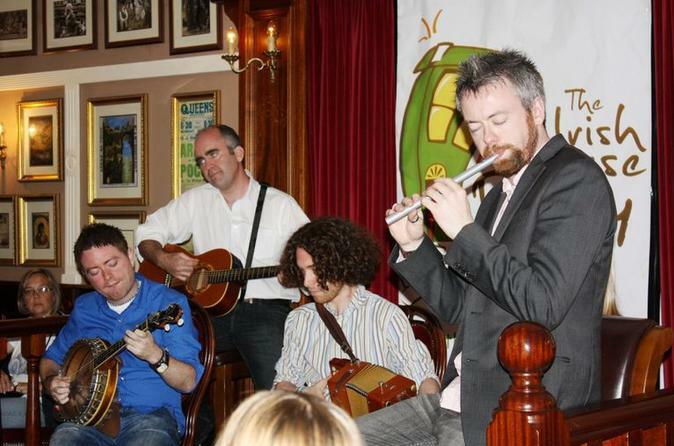 Led by two talented professional musicians, you'll visit famous pubs and bars, and hear the story of Irish music and its influences on contemporary world music. 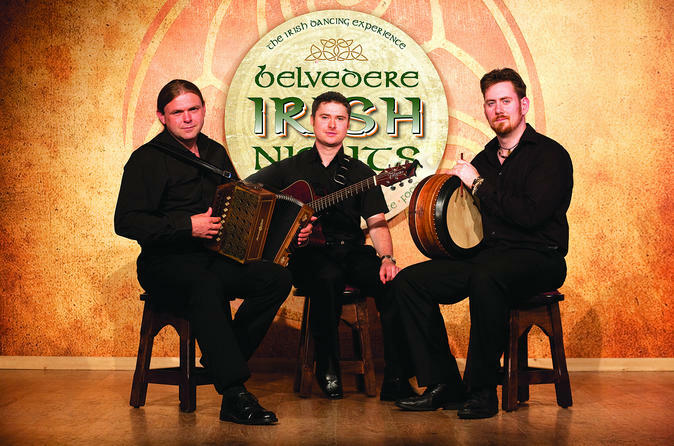 Irish pubs and traditional Irish music - it's the perfect match! 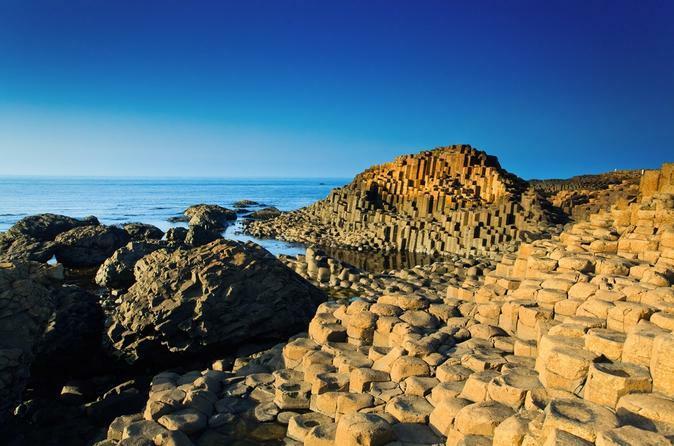 See Northern Ireland's spectacular UNESCO World Heritage Site – Giant's Causeway – on a day trip from Dublin. From the comfort of your luxury coach, you'll see the Causeway's famous rock formations alongside dramatic coastal scenery, as you experience one of the greatest road journeys in the world. 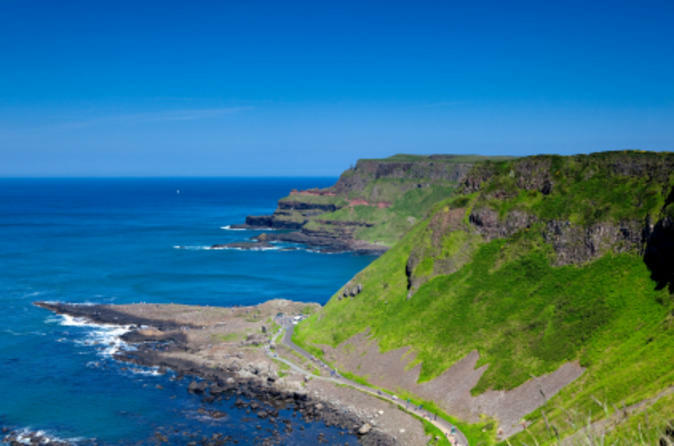 Additionally, your Giant's Causeway day trip includes visits to Belfast (Northern Ireland's capital city) and the unique Carrick-a-Rede Rope Bridge. Use the Dublin Freedom Pass to travel around the city and sightsee with ease. 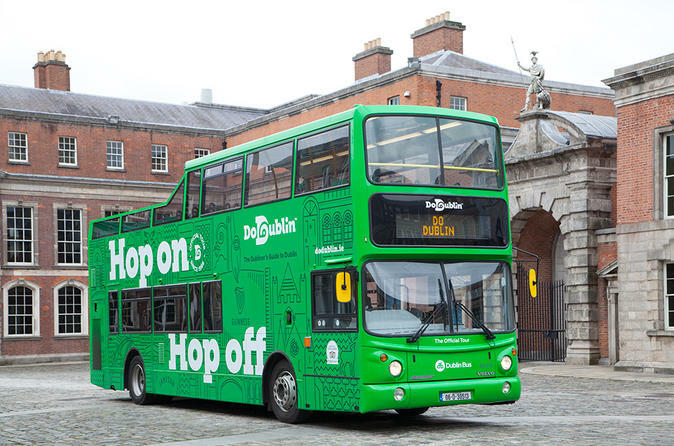 Valid for 72 hours from first use, the handy transport and sightseeing pass includes unlimited airport shuttles and central Dublin bus travel, plus a city hop-on hop-off tour with a choice of two routes. Use the pass to sightsee independently, and see top Dublin attractions such as Trinity College, Guinness Storehouse and Jameson Distillery at Bow St; even better, the pass also includes savings on entrance fees to select attractions such as these! 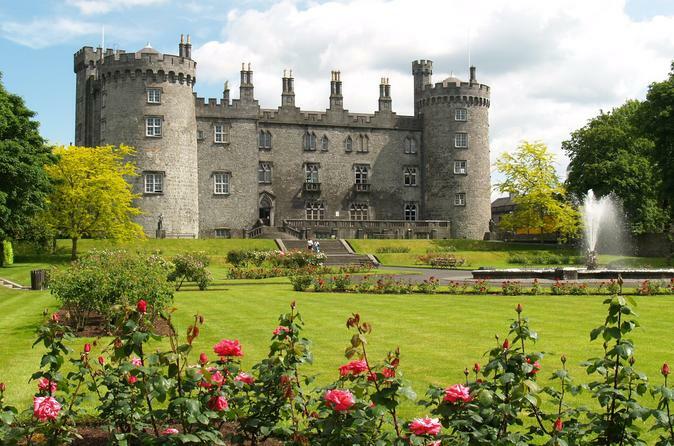 See Irish castles, caves and cloisters on the Kilkenny City and Glendalough Day Trip from Dublin. Traveling by luxury coach, you'll head into Ireland's south-east region - an area as historically interesting as it is beautiful. Visit Kilkenny Castle and the monastic settlement of Glendalough while gaining insight into Irish folklore and history from your guide. This tour will also include a stop at the Wicklow Mountains to see Border Collies corral sheep across the fields as of March 1. See the most ancient parts of Ireland on this full-day trip from Dublin to Boyne Valley. Travel through the counties of Meath and Louth and see primeval sights in places like Loughcrew, Trim and Ardee. 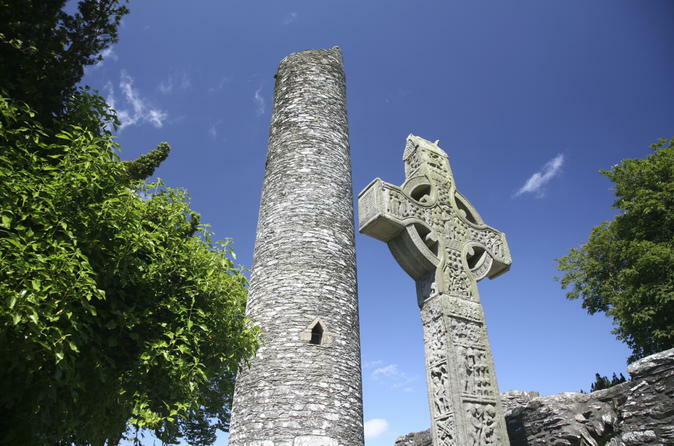 Then, visit the Celtic High Cross of Muiredach in Monasterboice before exploring the historical town of Drogheda with your expert guide. Got the morning or afternoon free in Dublin? Then explore Dublin Bay just outside the capital on this relaxing 3.5-hour tour. 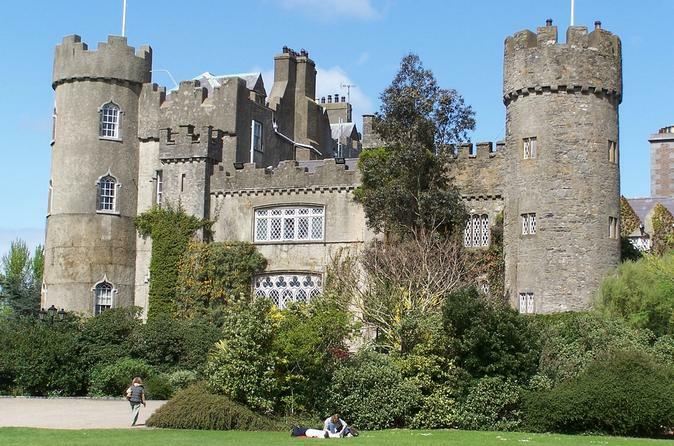 You'll take a wander through the beautiful estate of Malahide Castle and enjoy the fresh sea breeze and breathtaking views of Dublin Bay from Howth Summit. 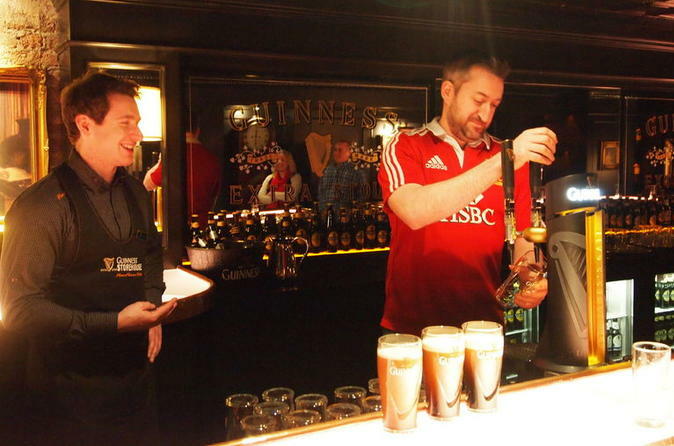 Visit Guinness Storehouse in Dublin with a skip-the-line ticket, and take a seat in the Guinness Connoisseur Experience – the attraction’s luxurious bar-lounge – for a 75-minute tasting session!! With an expert Guinness connoisseur as your tasting guide, the experience includes four samples of different Guinness blends. Sip on each one, and then finish your session with a pint of your favorite blend in the on-site Gravity Bar. Afterwards, you can explore the vast museum at leisure, learning about the history of Ireland's national drink! 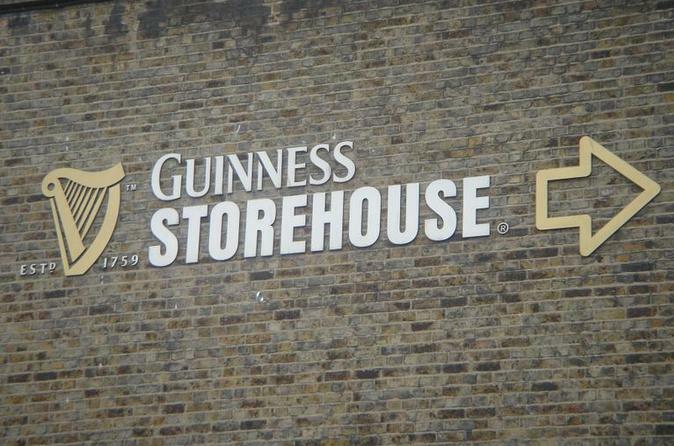 It's the perfect experience for stout lovers who want a tasting session at Ireland's iconic Guinness Storehouse. 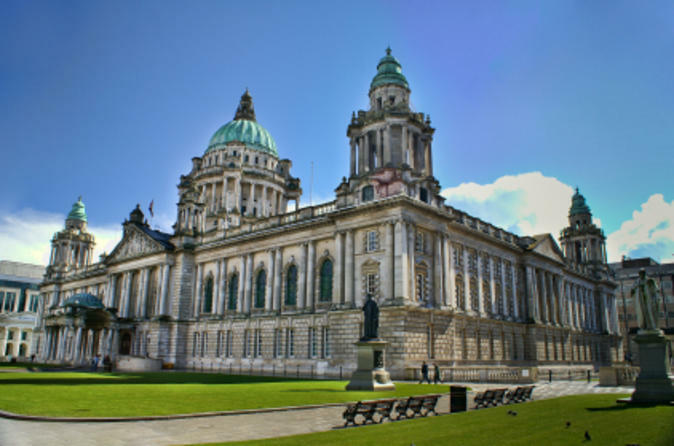 Discover the capital of Northern Ireland on the Belfast Day Trip from Dublin! Combining guided tours with independent sightseeing, you'll gain an understanding of Northern Ireland's complex and fascinating history. Visit the historical town of Dundrum, a Norman castle, and the resting place of Ireland's patron saint. Do you want to find out what happened to the lost souls of medieval, plague-ravaged Dublin? This bus tour is your chance to do just that! Visit eerie yet impressive local sites such as Dublin Castle where haunting historical events took place. 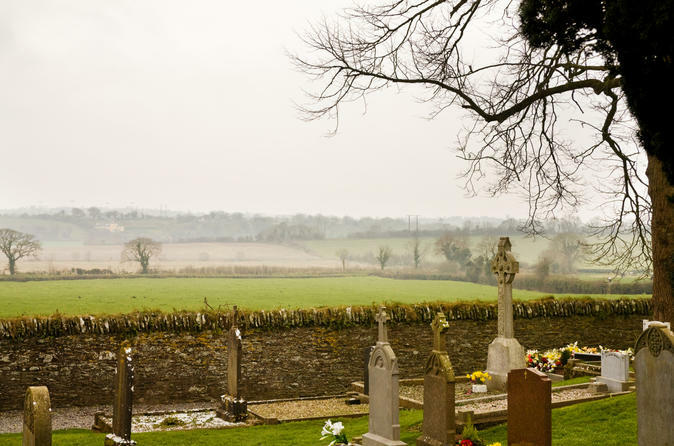 Learn how gravediggers snatched bodies at local cemeteries. Don't miss out on this opportunity to discover Dublin's haunted past and find traces of the city’s sinister legacy on this ghost-filled walking tour. 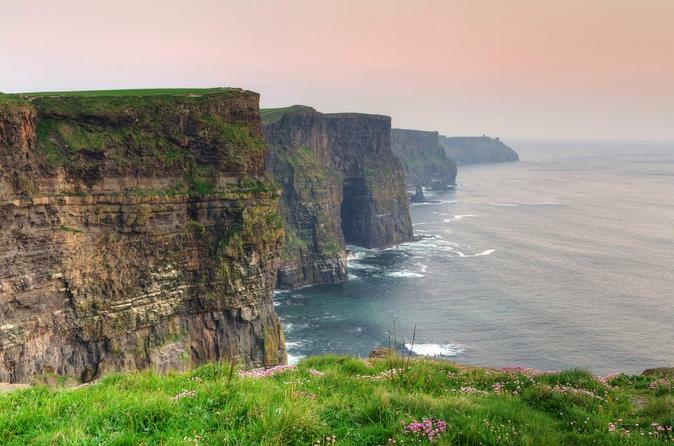 From Cork and Blarney Castle to the Ring of Kerry and Cliffs of Moher, you'll see the best of Ireland's west and south-west on this leisurely three-day rail and coach tour from Dublin. Since John Jameson's brave first steps into this building in 1780, Jameson Whiskey has been focused on their ambition to create unforgettable experiences. 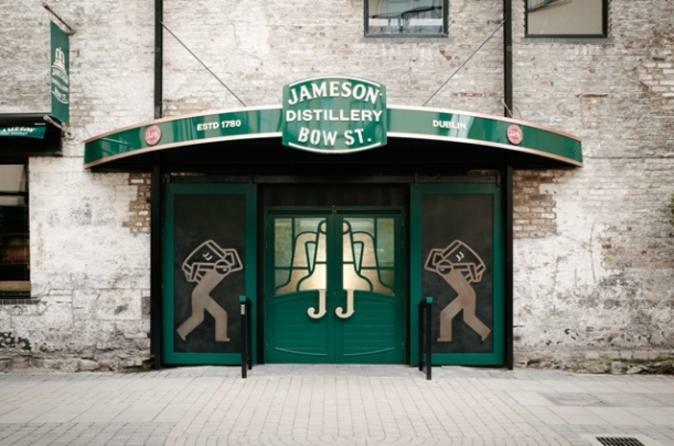 The new look Jameson Distillery Bow St. in Dublin's Smithfield re-emerges after a 6-month re-development with a new whiskey tour called the Bow St. Experience that brings the stories of Jameson’s rich heritage and on-going innovations to life in an immersive, 40-minute tasting tour of the home of Ireland’s best-selling Irish whiskey. See Northern Ireland's only UNESCO World Heritage Site and embark on a unique guided trip from Dublin and visit the beautiful location of Giant's Causeway and venture across the Carrick-a-Rede rope bridge. See the picturesque cities of Ireland’s scenic southeast on a full-day rail tour from Dublin to Kilkenny and Waterford Crystal. 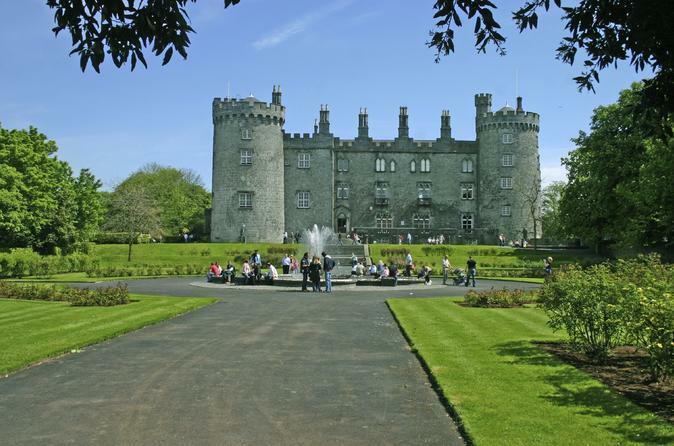 Accompanied by a guide, travel by train to Kilkenny, an artsy and attractive city. Take a guided tour around its medieval streets and enjoy some free time before moving on to Waterford City. Tour the esteemed Waterford Crystal factory, which is responsible for producing many dazzling objects of beauty, including the Times Square New Year’s Eve Ball. End your tour with a scenic rail route back through the Suir Valley. 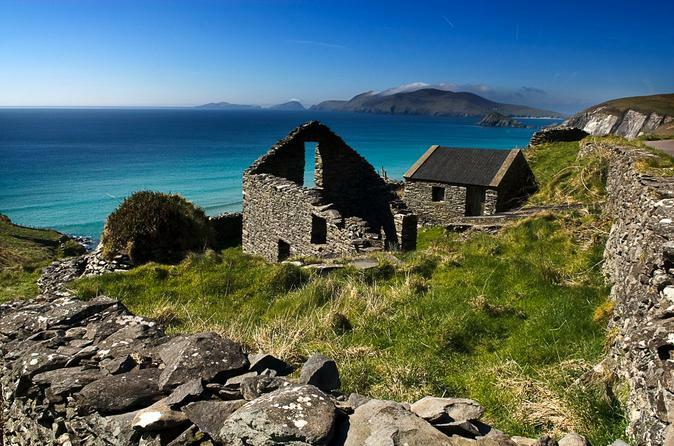 Spend an unforgettable day traveling from Dublin to the west of Ireland. 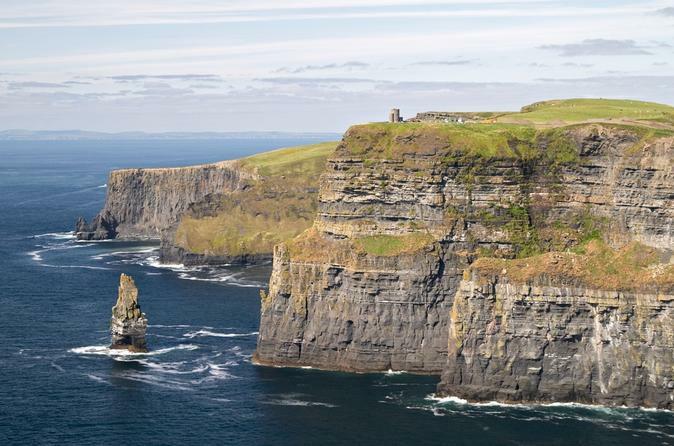 Explore the word famous Cliffs of Moher, King John's Castle and the Burren. Stop for lunch at one of the finest restaurants in the west coast. 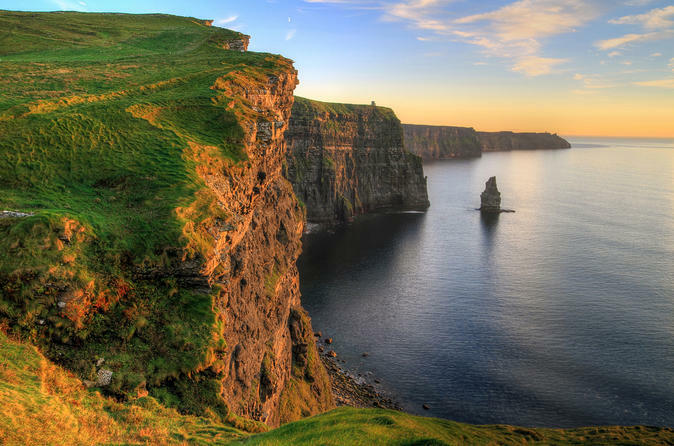 See the highlights of Ireland on a 5-day small-group tour from Dublin! 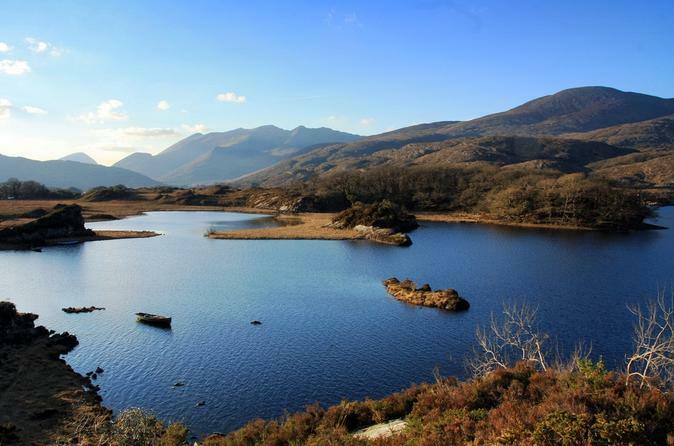 Traveling by luxury minivan, head to Galway and Killarney with an expert guide, checking out everything of interest en route! 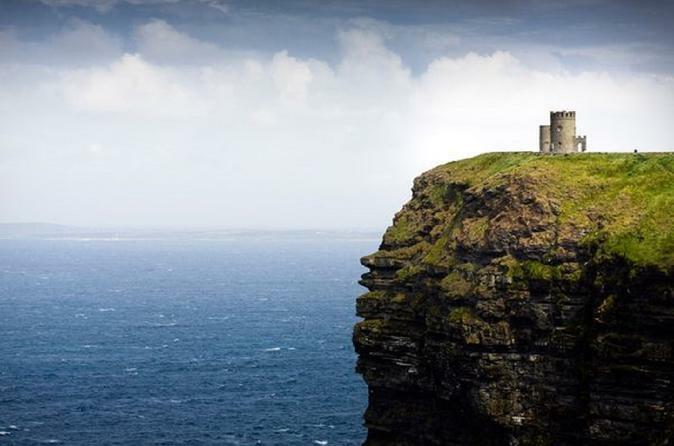 Tour an Irish whiskey distillery in Kilbeggan, explore the Burren, gaze in awe at the Cliffs of Moher and travel along the famous Ring of Kerry. 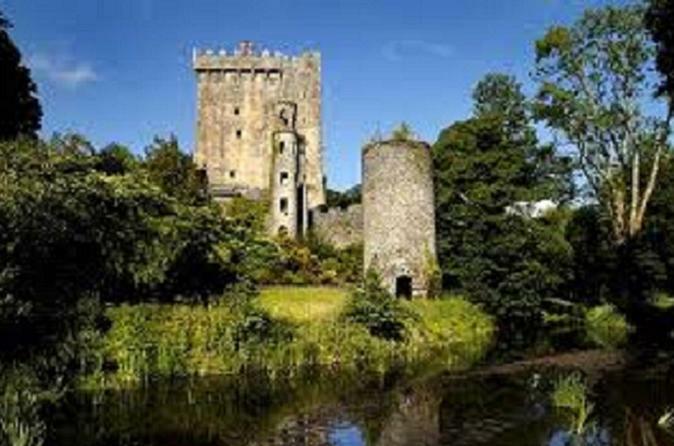 On the way back to Dublin, visit Blarney Castle and Gardens - home to the famous Blarney Stone! Numbers are limited to 16 people on this small-group Ireland trip, ensuring you’ll enjoy a more personalized experience. Discover the wonder of Blarney Castle and Gardens on a full-day tour from Dublin. Kiss the famous Blarney Stone and receive, as legend has it, the gift of the gab for seven years. Enjoy panoramic 360 degree views as you drive through County Cork, and a new additional stop at the wold-famous Rock of Cashel in County Tipperary. This tour will show you the very best that the southern capital of Ireland, County Cork, has to offer in a day tour from Dublin. 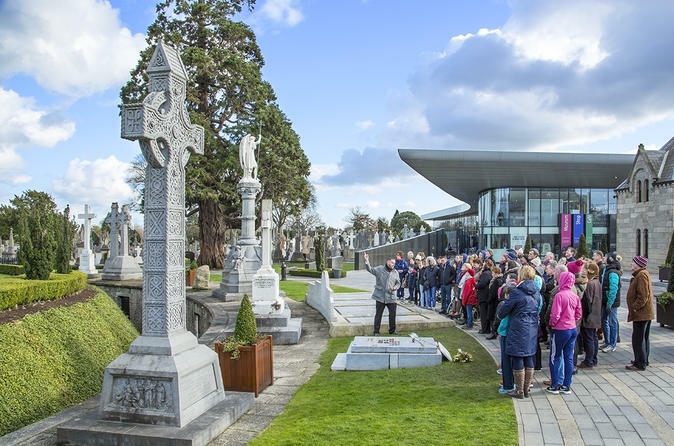 Enjoy a glimpse back in time to Victorian Dublin on a 1.5-hour walking tour of the Glasnevin Cemetery, winner of the TripAdvisor Certificate of Excellence 2014. 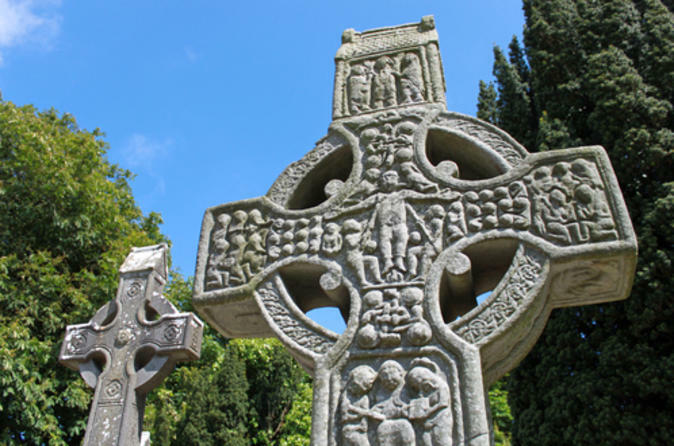 Explore the cemetery, where some 1.5 million Irish people lay buried, and hear your guide explain the fascinating life stories of the people who have shaped the Ireland we know today, from authors and politicians to thieves and rebels. Then, visit the museum independently and learn more about the lives of many of the cemetery’s most important residents! 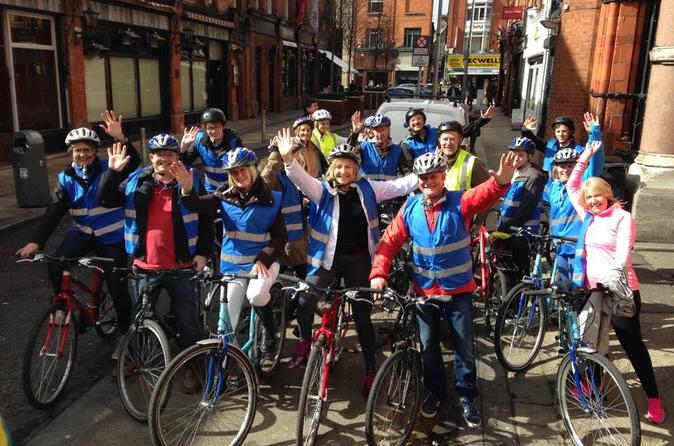 Discover the rich history, the folklore, the great buildings, the unique atmosphere of Dublin, with a guided bike tour. 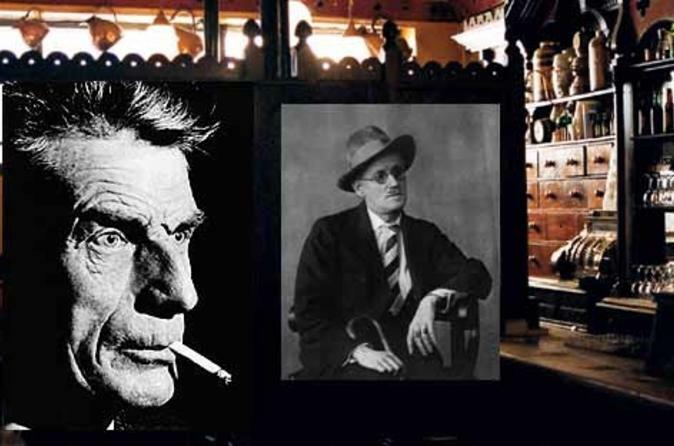 Get a sense of the city’s energy, its history, culture and wit; its distinguished citizens – from Joyce to Bono. 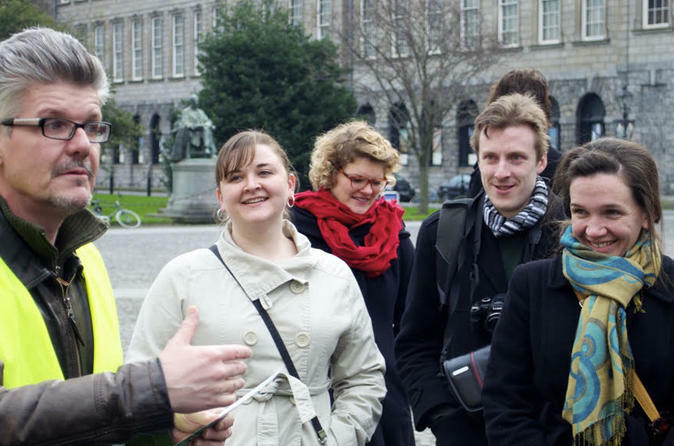 This tour uncovers Dublin’s charm. There are no hills and the pace is relaxed. Enjoy fast-track entrance to Dublin and Ireland's top visitor attraction with a skip-the-regular queue ticket to the Guinness Storehouse. 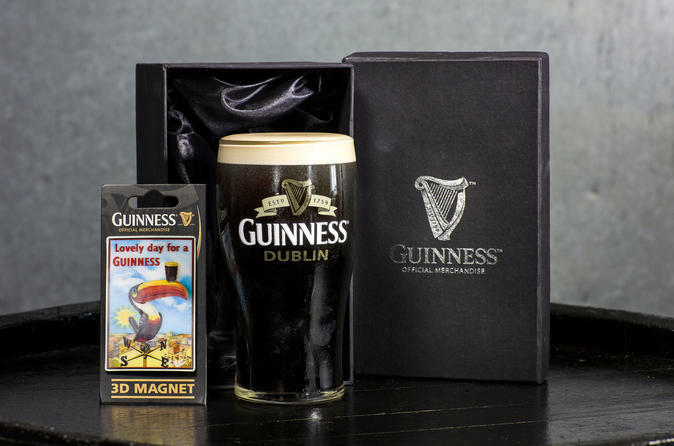 With this exclusive Signature Package, you get to also take home a unique Guinness gift including an iconic Guinness Dublin Glass in a presentation gift box and a 3D fridge magnet. 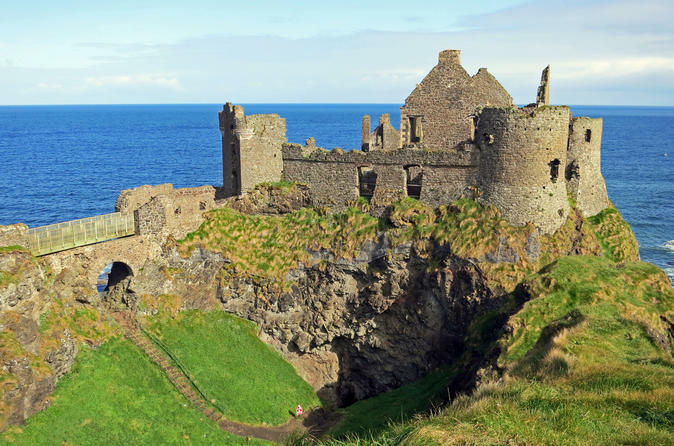 Discover the historical city of Belfast and visit iconic locations used in the ‘Game of Thrones’ TV series on this unforgettable 2-day trip from Dublin. 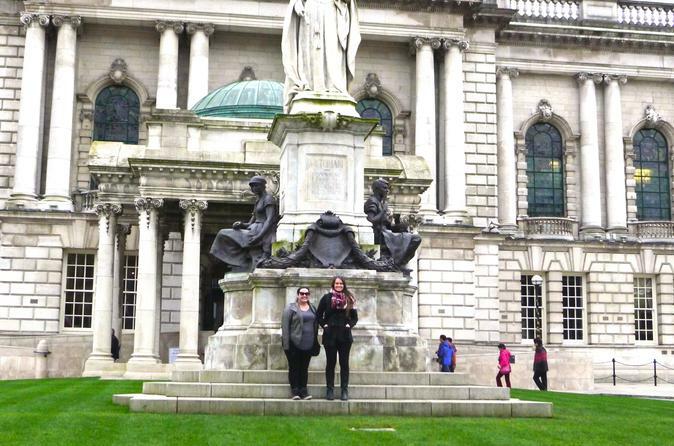 Enjoy a scenic train ride along the eastern coast of Ireland before exploring Belfast independently with a hop-on hop-off bus ticket and admission to Titanic Belfast visitor center. Then, travel to key locations that were used in the award-winning HBO fantasy drama ‘Game of Thrones’ with a local guide. 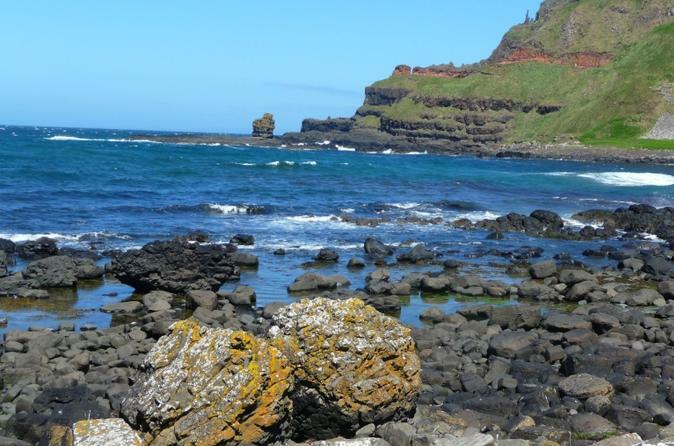 See sites like the Dark Hedges road and the Cushenden Caves before enjoying free time at UNESCO-listed Giant’s Causeway. Explore the highlights of Ireland's stunning west coast on this 2-day trip by rail and coach from Dublin, accompanied by a friendly and informative guide along the way. 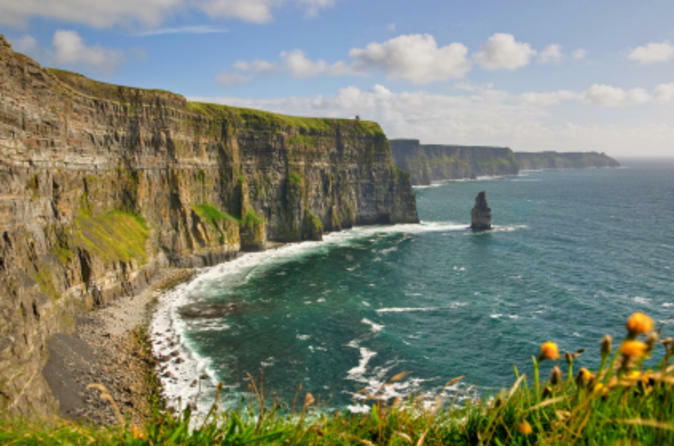 From Bunratty Castle and Folk Village Park to the rugged Cliffs of Moher and the Burren coast, this nature-packed trip is one you won’t want to miss! You’ll enjoy the atmosphere of a small-town pub in coastal Doolin and finish in lovely Galway Bay. 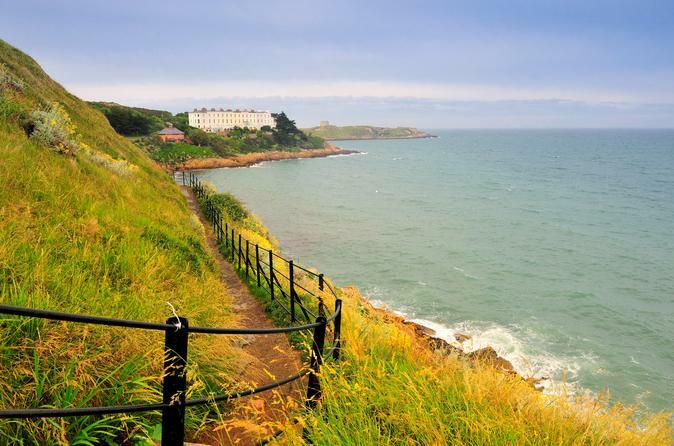 Escape the hustle and bustle of Dublin City on a wonderful half day tour along Dublin’s North Coast, with a guided tour of Malahide Castle, and visit the coastal fishing village of Howth. Enjoy a guided tour of the magnificent Malahide Castle, with origins in the 12th century, and which still retains its stunning old world charm. Discover 800 years of the Castle’s history, and the legacy its occupants have left behind. 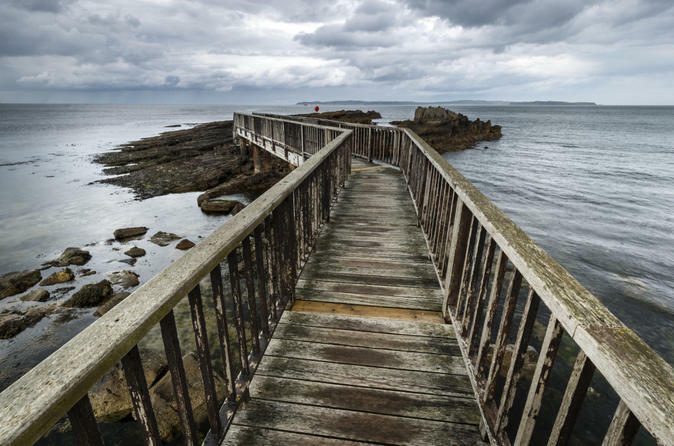 At Howth, enjoy a short stroll along the pier and the unparalleled scenery from the seaside harbour.